.. 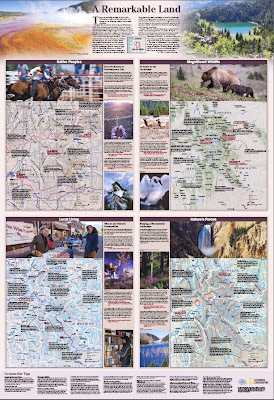 The National Geographic Society, the National Park Service, Montana, Wyoming, Idaho, the United States Forest Service, the Greater Yellowstone Coalition, and the Bureau of Land Management, to name a few, have teamed up to produce a "MapGuide" for our neighborhood. .. 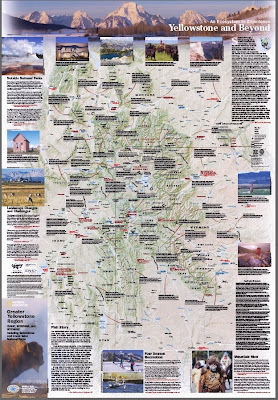 According to an article in the Billings Gazette there will be 100,000 free maps to inform visitors of the area's unique lands, wildlife and people. (We're as unique as it gets out here.) Sadly there is no mention of how to obtain one if you just happen to be one of the neighbors and want one too. .. It is possible to download a PDF file of surprising detail. 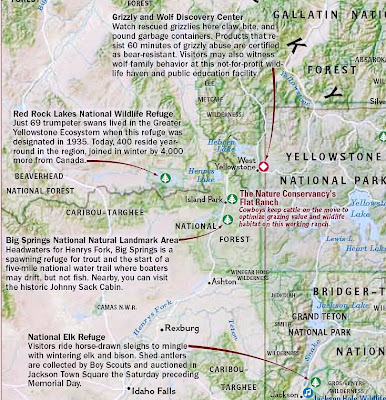 -->Page one "Yellowstone Lands Map" can be downloaded HERE. 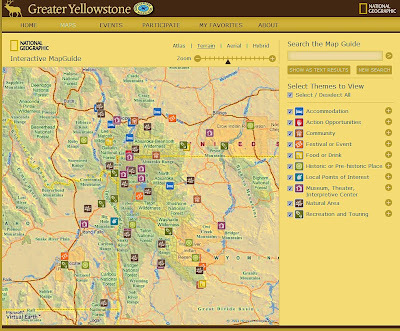 -->Page two "Yellowstone Themes Map" can be downloaded HERE. .. These files are large and detailed. Even a 28" monitor can only display parts of them at 100% of image size. .. You won't find any secret fishing spots, but the expansive area covered truly goes to show why this corner of the world draws visitors from around the globe. Only the highlights are detailed on the map, but as any of our neighbors, or any local Chamber of Commerce will tell you: 'It takes more than one lifetime to even scratch the surface.' 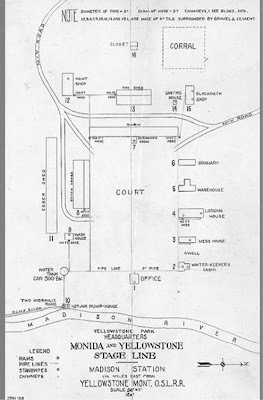 There are over 800 map points included in this publication. .. 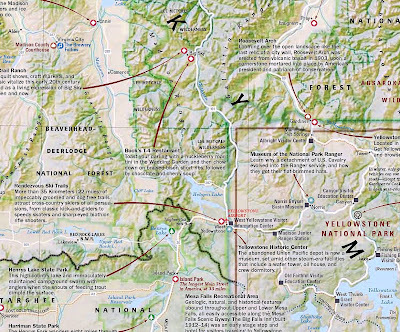 The MapGuide title is encompassing, ("Yellowstone and Beyond, an ecosystem to experience,") and the geography of the Greater Yellowstone Ecosystem is magnificently diverse. There is also supposed to be a companion website, but the URL was not mentioned in the press report. We'll continue to search. .. There is an 'unveiling ceremony' in Helena today, (Tuesday, March 31, 2009.) We're sending a courier to retrieve a 'free' sample.
. . . "despite the somewhat campy title, this blog wasn’t started to be nostalgic, to pine for the “good old days” etc. - but instead to highlight gear still being made the way people used to make outdoor gear when it was equipment you truly had to depend on; maybe even would be gear that, with care, could be handed down to your children when the time came. An approach, and a pride in craftsmanship, that is all too rare these days . . ."
.. We'll be following along. .. We periodically check out the down under scene at BISH ON FISH. 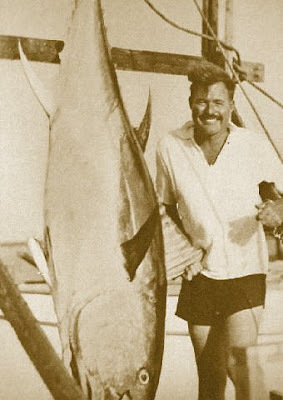 His catalog of quotes - fishing and otherwise, has reached to over 750. .. The quotes page has a button that grabs a random quote and gives it to you - nice. .. He just posted one that brings tears to our eyes and joy to our heart. .. 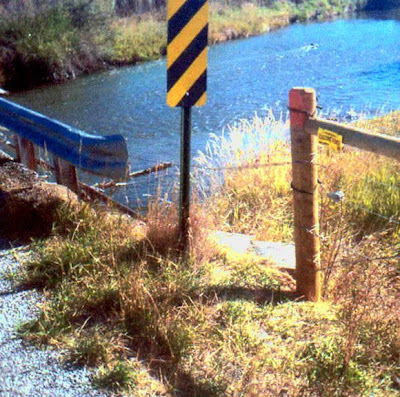 It's looking like the Montana State Legislature will finally affirm the Montana State Constitution by approving a bill to clarify stream access from bridge and road crossings. .. 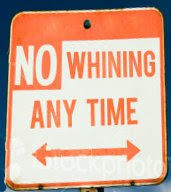 It also looks like the hard work by several legislators has brought some conversational sanity to the issue - and like all compromise legislation, everyone is a bit gratified and a bit disappointed. .. Senator Jim Shockley, (R-Victor,) along with Representative Kendall Van Dyk, (D-Billings,) Senator Jeff Essmann, (R-Billings,) and organizational representatives from Montana Trout Unlimited, Montana Stockgrowers Association, Montana Department of Fish, Wildlife & Parks, worked long and hard on the current compromise. 2] . 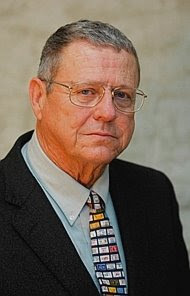 . . the bill doesn’t create any rights nor “extinguishes” any existing rights concerning “prescriptive road rights of way that existed at the time of passage.” These are easements counties acquire after years of traditional use without ever paying for them. .. A detailed news article appeared in a post at helenair.com. You can read the concerns of the Montana Wildlife Federation HERE. The Bill in it's current form can be found HERE. .. The bill is scheduled for it's second reading tomorrow, (March 30, 2009.) You can follow it's history HERE. three valleys and three creeks. .. 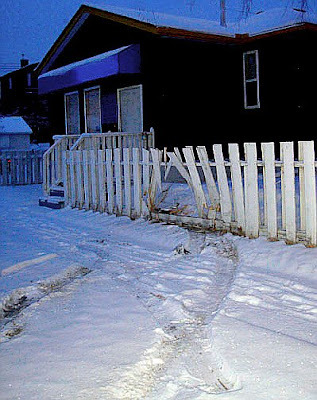 The neighbors, bless 'em all, have squiggled themselves into the perfect fishing situation. 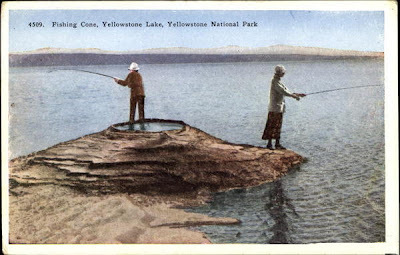 No crowds, plenty of willing fish, strenuous access, shelter from the breeze, bears to watch, and beautiful scenery. What more could you ask. .. 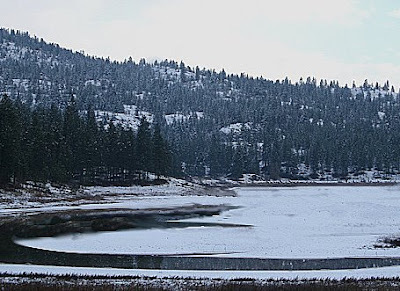 The ice is beginning to recede from the tail end of Quake Lake. Although ice-out on the lakes is certainly 2-3 weeks or more away, there is a bit of open water near the outlet of Quake Lake. .. Of course the 'worm guys' found it first; just about 24 hours in front of the 'gear guys.' Fly fishers were a bit slow on the uptake, but are finally there to join the fun. 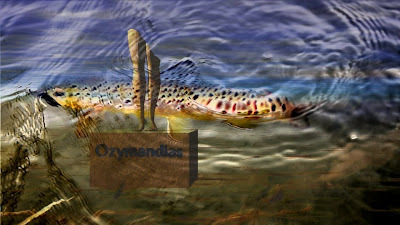 Worm bits and a small split shot will gather up 20" trout about a foot from the ice and in the top three feet of water. A 000 golden Mepps or Roster Tail with an intermittent retrieve will also work wonders. .. 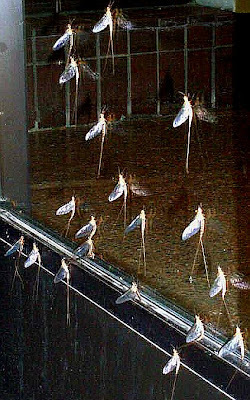 The "fly guys" are using small streamers, ungreased, and on a long heavy sinking leader. Little Brown Trout flies are the first choice right now. The Hellifiknow is also taking good sized fish. .. The trout are podded-up, (is that a word?) at the edge of the ice and eating all bits and pieces of crap exfoliated from the edge of the ice. It is still possible to reach the edge of the ice with a hearty roll cast, or a well placed reach cast. .. Once the fly is on the ice, wait a minute or a bit more. It's hard to do because the monsters will come up to see what's the fuss. About the time the fish begin to settle and disappear from view, slowly drag your offering into the water and let it sink. If there are no takers immediately, slowly, (repeat, SLOWLY,) retrieve the offering keeping it's depth at the edge of your vision. Hook-ups are about one in three casts for the "fly guys" sometimes better for worms and gear. .. 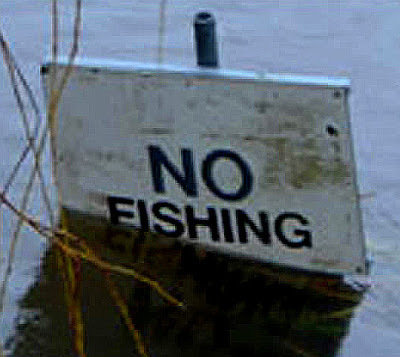 The worse the weather, the better the fishing. At this time of year 20" Brown Trout and 22" Rainbow Trout are common. You will need some Alpaca Knickers to fully enjoy this form of brutality. 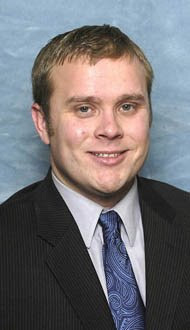 no tie? - just buy ! .. We've had some requests for a hatch chart. There are many for Yellowstone Country, and no need for us to clutter the landscape. Here's our reprint of a post about the ones we use when planning for trips, or planning for tying. There are many more out there. These are just the ones we use. (NB there is nothing sacred about hatch charts. WHAT IS THAT BUG ? When Is That Bug ? what's its first name ? 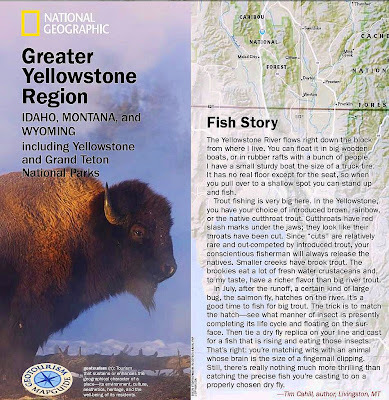 -- As the season in Yellowstone National Park gets rolling, and more rivers and lakes open up, it's nice to know what the trout are likely to be eating. Hatch charts are one way to help in planing a trip, or planning what patterns to tie for your visit. 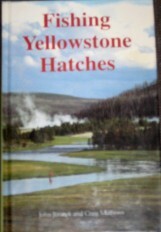 -- The standard reference is "Fishing Yellowstone hatches" by John Juracek & Craig Mathews. This is no 'coffee table' prize. This is an excellent reference that will be worn out if you fish the area regularly. -- There are some excellent on-line sources as well. We've listed them below so that you can visit and bookmark them. Like all things fishy, they are weather and condition dependent. Pay no money & take your choice, all will provide insight for your fishing delight. 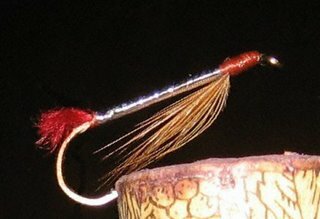 -- These will get you started in your planning and fly tying. Well - Sort Of ! 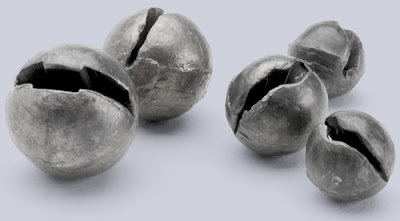 .. A National Park Service News Release on March 10, 2009 stated it's position on lead shot for fishing, and bullets for it's officers. On March 18, it issued a clarification statement. Of course, this clarifies nothing. It's time for the NPS to be crystal clear about what it means. .. The NRA has an article about the confusion and the need for a clear statement. There are 61 properties managed by the NPS that allow hunting. There are many more that allow fishing. 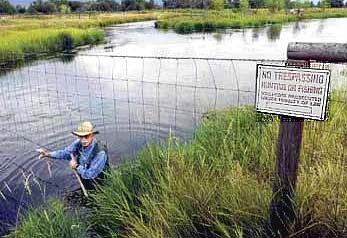 .. Yellowstone National Park has a 'no lead' policy in place for it's fishing tackle. It's unclear if the new clarification will rescind this ban. .. The National Park Service has stated that the initial press release was intended to let the public know that the NPS was becoming 'lead-free,' and that the ban applied only to NPS personnel and operations, according to an article in The Outdoor Press Room. .. The Washing Times has a note about how the American Sportfishing Association is just plain riled about the implied ban. It seems that they feel that the ban was made without the transparency promised by the new administration. . . . . . . Oh, get over it. .. Let us be perfectly clear about our position. 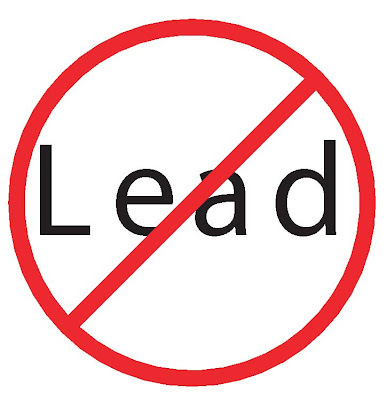 No lead of any kind for fishing of any kind. There, that's done. Now lets let the NPS be as clear. .. As to the other concerns, 1] lead wheel weights will be hard to replace, some are coated - though, 2] solder is going to be a real problem, especially in roof preservation and restoration, 3] dispatching of sick or wounded animals should be expeditious and humane, lead or no lead, and so it goes. Oh what a tangled web we weave, When first we practise to deceive! .. Come on NPS, be clear and precise. Thank you. .. From the Burgess Shale in the Canadian Rockies of British Columbia comes news of a predator that lived 505 million years ago. .. The fossil was first described about 100 years ago. It's fragmentary nature left it to rest in the 'unremarkable' category for nearly a century. It was misidentified as everything from a jelly fish to a sea cucumber. .. Recent re visitations of the fossil, in the dusty drawers of the Smithsonian Institution, and a new specimen, have revealed it to be a monster predator from the Cambrian. .. This thing was a giant among the life of the time and is, in fact, a member of the largest living group of animals the arthropods. .. The Hurdia, (sp), probably fed on other, smaller predators and marine worms. Details of this monster were published in yesterday's issue of Science; a synopsis is available HERE. Although size doesn't matter, this thing may have reached a whopping 16 - 18 inches. .. A similar predator was recently caught by a Montana fisherman. The Pygmy Whitefish, Prosopium coulteri, (Salmonidae), tied a state record and weighed in at 3.7 ounces. .. These predators usually grow to sizes in the 6 - 8 inch range and are preyed upon by other fish. .. 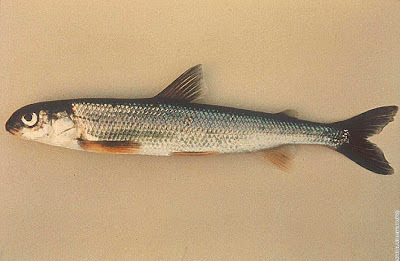 The Pygmy Whitefish usually preys mainly on zooplankton. 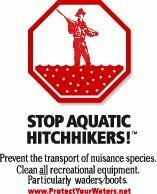 A July-Dec. Flathead Lake study showed these foods to be important; Daphnia Thorata-70%, Epischura-13%, Organic debris-10%, and chironomid larvae-6%. .. The invasive shrimp found in many of Montana's cold lakes are now a new food source for the Pygmy. They are growing larger because of the change in diet and we can look for the state record to be broken again in the near future. .. The current record has stood the test of time, as the previous record was set in 2005. You can read the whole thrilling story of the battle with the fish in the Montana Standard. .. The fisher that caught the monster has revealed the technique for taking the trophy: a glow hook and maggot. Eric Tullett, of Kallispell, Montana is justly proud of the catch. .. Pygmy Whitefish images courtesy of Montana Fish Wildlife & Parks. .. As we promised, we've monitored this bill. Sadly, for Montana's streams, the big money and thoughtless greed of real estate interests have dumped it in the toilet. .. Votes in the House Local Government Committee and executive actions seem to have doomed the bill. .. 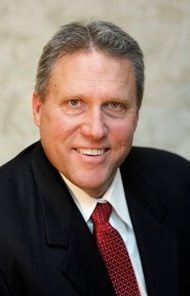 Thank your local real estate developer the next time you see them. 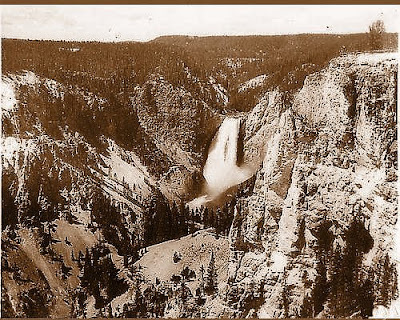 Now rivers such as the Yellowstone, Gallatin, Madison, Jefferson, Smith, Missouri, Clark Fork, Blackfoot, Bitterroot and Flathead will soon have their banks covered with palaces of the rich and invasive. 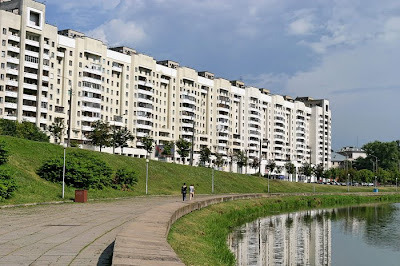 .. Major development of condominiums and luxury retreats will sprout like the riparian vegetation that is there now. 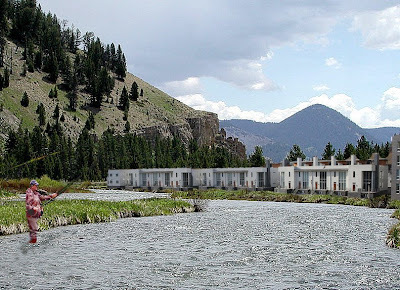 Stream access will fall to "property rights" defenders, and soon Bozeman will look and smell like Central Los Angeles, or Downtown Milwaukee. The invaders should feel right at home. .. No 250 foot setbacks will be enacted. "Local Control" added to the bill did not satisfy the plutocrat's of development. Their watch words seem to be: "IF IT'S THERE - BUILD ON IT!" READ THE UGLY DETAILS HERE. .. Best get to the Gallatin River before you can't see it! 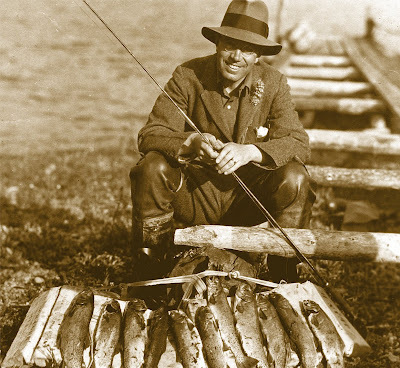 .. With his rubber boots, an Hardy "CORKER" rod, an Allcock bait reel, and a wild flower in his tweedy lapel the Crown Prince managed to gather up 11 lovely trout near the present day Fishing Bridge in 1926. 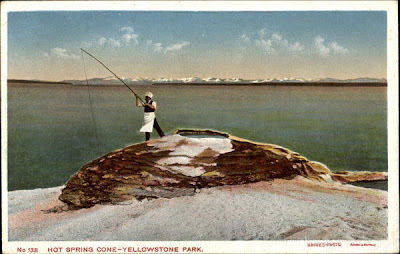 .. A tip from the Yellowstone Park News, points us toward access to an historic collection of photographs. .. The family and professional photos from Frank Jay Haynes, (official photographer of the Northern Pacific Railroad AND Yellowstone National Park,) are available online -- in two places, no less: FLICKR (just posted,) and Montana State University Library. The latter is complete, the former has 60 creative commons images. 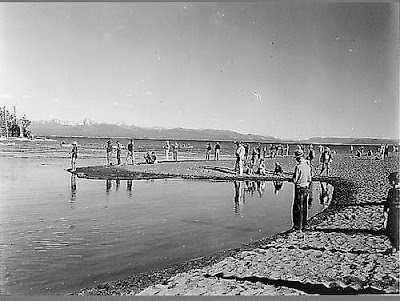 .. For those of you from Alpha Centauri, Haynes was the photographer that defined and initially captured all the classic Yellowstone photos. .. 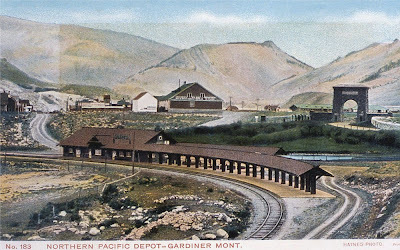 He turned many into hand-colored postcards, and later printed color-tinted B&W postcards. .. Jack Haynes continued the tradition and the postcards have become genuine collectors items - both here and abroad. .. 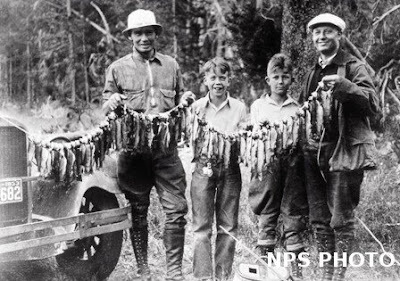 The Haynes Family Collection contains images of presidents, tourists, bears, superintendents, rangers, old buildings, features long gone, fish, fishing, and other western Americana found in very few other places. .. Among the treasure trove of images, (we've not scanned all 5,000 - yet,) are some that are particularly pertinent to the interested fly fisher. .. Should you bother to venture away from the crowd - either upstream or downstream - at the Barns Holes you can still see the old stage road's ruts. A bit farther afield you can even find some foundation remnants. .. The Haynes Family Collection includes a wonderful image of the "Barns at Riverside" and a map of the Monida to Yellowstone stage depot. .. If you've fished away from the crowd, (you've probably caught fish in the lessor known 'local hole') and you have walked across the lobby of the stage depot. .. There is an even more secret hole in the river bottom where fall-run fish park right under the bank. 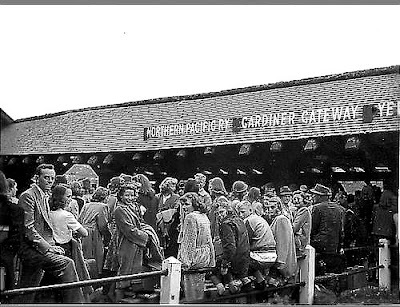 .. For your edification, we've posted these images here. If you click on the images you can see other surprisingly telling clues about where to fish - this is certain death.